yep, my love affair with blue nails continues! I don't own a huge amount of O.P.I polishes but I've loved the ones I've tried in the past. 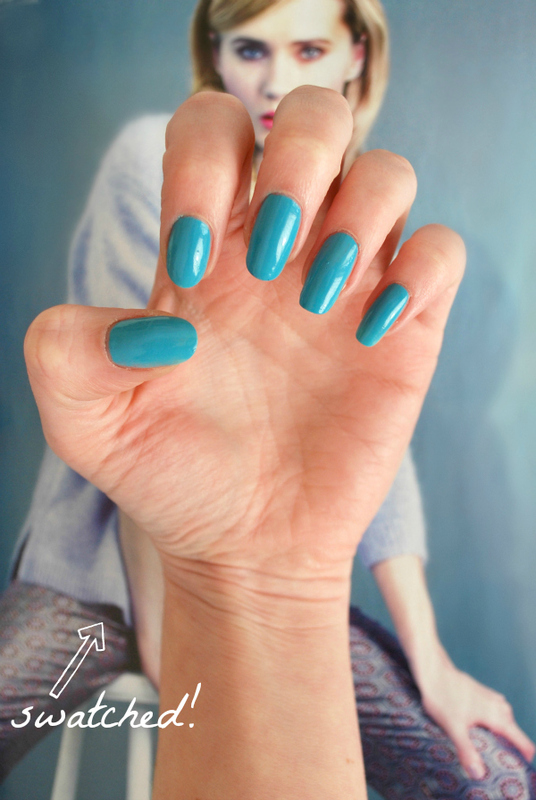 I love the colour; bright without being garish it reminds me of vintage denim and summer skies.. sigh, hurry up summer! what do you guys think? are you fans of O.P.I? wow1 that is one lovely blue! is it similar to barry m cyan blue? I saw the minis of this collection in Sephora the weekend! Such a gorgeous colour!! I only own one bottle of O.P.I but it's actually my favourite because the colour is gorgeous, it's called Miami Beet! Beautiful, beautiful colour! I really like 'Eurso Euro' as well! That is one gorgeous blue! The OPI Euro collection is stunning! this is totally my kind of color. i haven't tried OPI yet but i might. they seem to have lots of colors i might like. Lovely colour. Looks so good on, wasn't sure about it in the bottle.